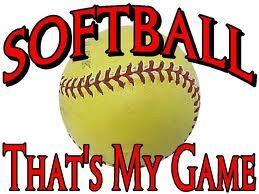 ﻿ONLINE SOFTBALL REGISTRATION IS OPEN! You must be a resident from the City of Kimberly, go to school at Kimberly, or a parent works at Kimberly school. ​In person T-ball, Pee Wee, Softball and Baseball sign ups will be April 18th and April 24th in the gym at Stricker Elementary 6-8pm. *T-ball is coed for kids 5-6 years old. Cost is $35 in person, $38 online. Games will be every Tuesday & Thursday in June at 6 or 7:30 pm. All games will be between the Kimberly Middle School and High School. First game will be June 4th and last game will be June 28. *Pee Wee (Pitching machine) is coed for kids 7-8 years old. Cost is $45 in person, $48 online Games will be every Tuesday & Thursday in June at 6 or 7:30 pm. All games at Kimberly City Park. First game will be June 4th. *Minor League is for boys 9-10 years old. Players 11 years old prior to August 31st are NOT eligible to play in this league. Cost is $55 in person, $58 online. THIS IS A TRAVELING TEAM WITH TOURNAMENTS usually the second weekend in July. Games will hopefully be Monday and Wednesday at 7:00pm starting the end of May. We have a League meeting with the other towns the end of April to set dates and times. * Major League is for boys 11-12 years old. Players 13 years old prior to August 31st are NOT eligible to play in this league. *C League Softball is for girls 9-10 years old. Players 11 years old prior to August 31st are NOT eligible to play in this league. Cost is $55 in person, $58 online. THIS IS A TRAVELING TEAM WITH TOURNAMENTS usually the first weekend in July. Games will hopefully be Tuesday and Thursday at 4pm starting the end of May. We have a League meeting with the other towns the end of April to set dates and times. *B League Softball is for girls 11-12 years old. Players 13 years old prior to August 31st are NOT eligible to play in this league. ​Cost is $55 in person $58 online.THIS IS A TRAVELING TEAM WITH TOURNAMENTS usually the second weekend in July. Games will hopefully be Monday and Wednesday at 4pm starting in June. We have a League meeting with the other towns the end of April to set dates and times. *A League Softball is for girls 13-15 years old. Cost is $55 in person, $58 online. THIS IS A TRAVELING TEAM WITH TOURNAMENTS usually the third weekend in July. Games will hopefully be Monday and Wednesday at 7pm starting in June. We have a League meeting with the other towns the end of April to set dates and times. If you are interested in coaching a team or assisting please check the correct box on the registration. Plan on attending one of these days as teams may fill up and close. ​ABSOLUTELY NO REQUESTS TO BE PUT ON A TEAM!! The only exception is siblings. Softball "A" League Rules Same as H.S.